In my many trips to DC, I nearly always park in the outskirts and pipe in via the Metro. For the most part, I depend on the train solely to get around (unless otherwise necessary) and thus, I have definitely left out a few spots in DC from my explorations. The most notable in my mind was the Georgetown area, since the Metro has no stop in the area, and as such I have literally passed over the area in my excursions to DC, choosing convenience over checking out this fabled neighborhood. But it was only a matter of time before something drew me into streets of Georgetown. One Sunday, my family and I were bulleting north on our way home and DC was in our sights as a convenient midpoint for a rest stop. Not wanting to miss out on a great cup of coffee, I checked what would be close to our path and sure enough, found an establishment I had run across before, a bakery known for good coffee called Baked and Wired. 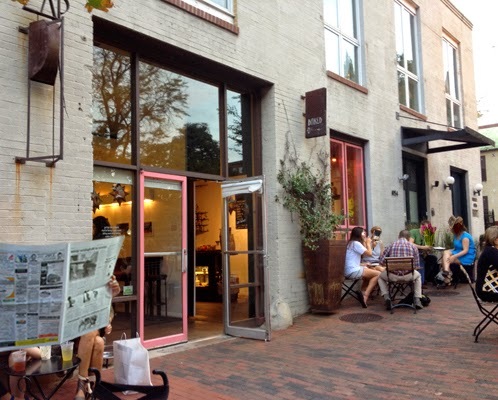 Thus we wound through several highway exits to the inclined streets of Georgetown and after parking, we meandered over to Baked and Wired, the lone business on that stretch of Thomas Jefferson St. Heavily laden with patrons both inside and out on this warm day, I made my way through the front walk/patio inside. The shop is split (ingeniously), with the bakery section to the left and the coffee section to the right. 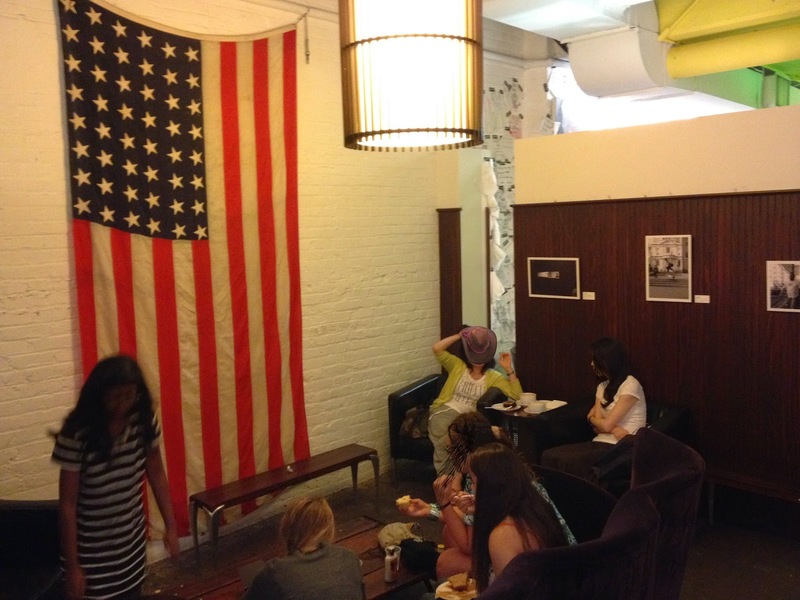 The cafe extends back further, with various areas to sit within, including a very patriotic large room with an American flag covering one wall. 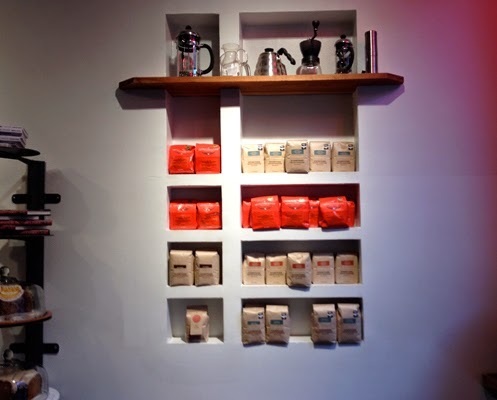 As for the coffee, they offer a couple roasters such as Intelligentsia, Ceremony and Stumptown but that day they had two from Sightglass that caught my attention. 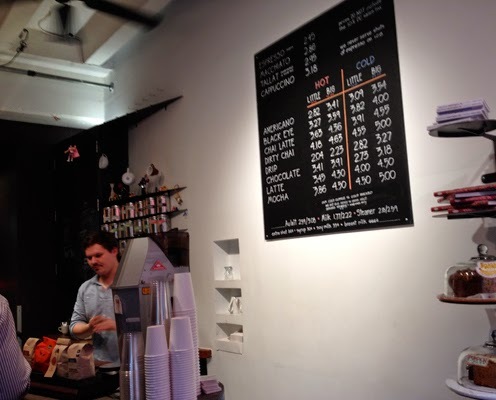 I ended up ordering an Owl's Howl for espresso and a pourover of their Ethiopian Guji Yetatebe. The espresso, pulled short/medium with a brown crema, smacked of lemon drops, bittersweet chocolate, raspberry, basil, walnut and a little smokiness, proving potent and full. The pourover doled out a lusciously juicy and nuanced coffee of strawberry, shortbread, barley, hibiscus, cream and butterscoth amidst a light body. After enjoying the coffee, I left quite refreshed and pleased with the experience (which ended up being a Godsend, as finding a meal afterwards with two small kids proved much harder). 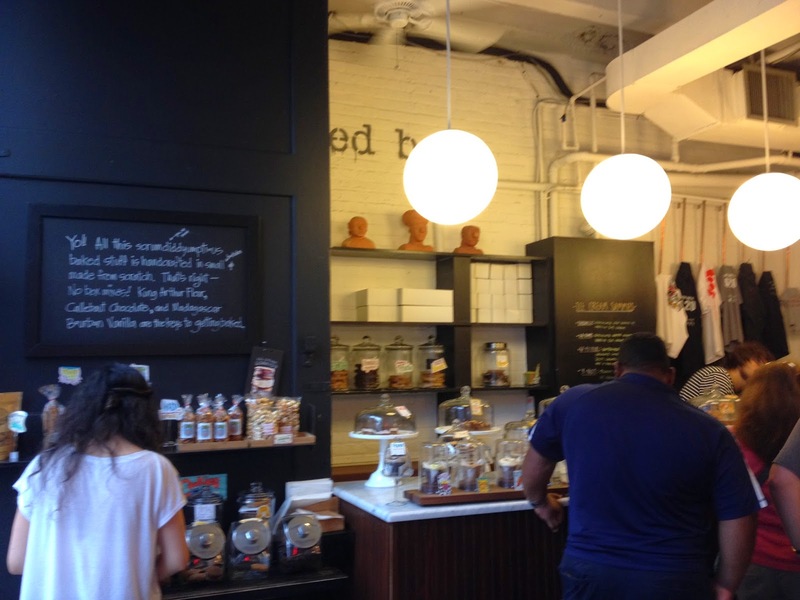 Thus, if you happen to be in the Georgetown area and you seek some great coffee and/or pastries, check out Baked and Wired. Exactly one of the best spot for a coffee time... nice to see the review here..
As much as I have frequent Georgetown I haven't come across this coffee shop. You are so right, not having a metro stop and having to spend half of your trip looking for parking really hinders the small businesses in this area. Win a Baratza Coffee Grinder!